Santorini reminds us of sunny days at the beach. Made from soft, pure cotton, it’s absorbent and durable, so it’ll last wash after wash..
Give your hands a little TLC, Santorini's soft feel is always a treat. And with a striped finish, it matches our Santorini bath towels perfectly. Going for a coastal look or maybe even French-inspired? Either will work with Santorini. 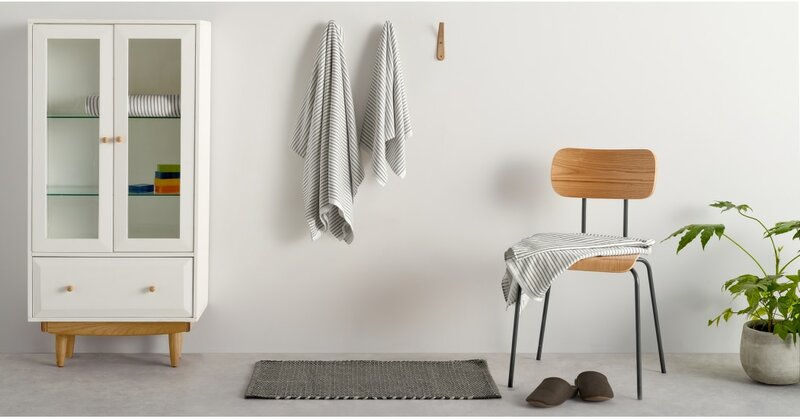 This set of 2 hand towels updates your bathroom with a fresh feel. Choose from its range of cool shades.